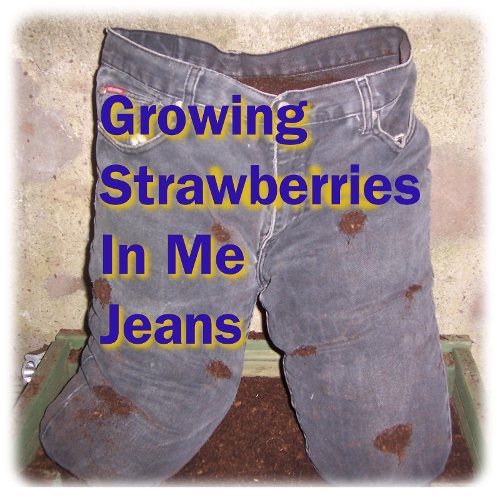 Growing Strawberries in Me Jeans sure sounded like a plan in me head a while back that we thought we’d make it so and have a go! The strawberries cost us £2.99 and we already had a bag of compost for a fiver of which we used about a pounds worth. So all in all minimum outlay for maximum Home Grown flavour!